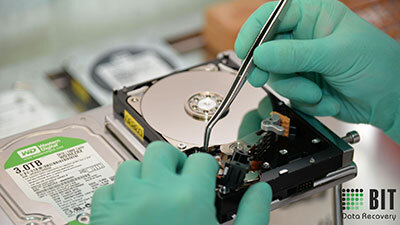 One of our technicians will analyze the hard drive and will infrom you what is the price and time to recover the data. The price varies depending on the type of malfunction and the number of hours required for the data recovery procedure. 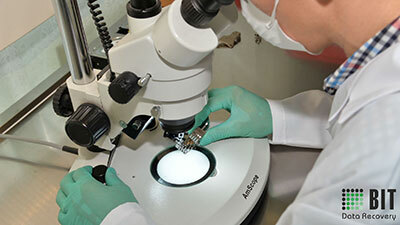 Depending on the type of defect, we will perform the necessary procedures for recovering the data as much as possible. The data are partially or totally recovered according to the degree of equipment failure. Once the data has been recovered, it is delivered to you on another Hard Disk or CLOUD / FTP. After the data is delivered, these are stored for another 5 days for safety, during which the client checks the recovery result. BIT Data Recovery has a technical department of 4 specialists in data recovery from HDD, SERVER, SSD, STICK, CARD or any other data storage device. We are prepared to take care of cases requiring emergency recovery and we can recover data in between one hour and 48 hours depending on the degree of damage to the equipment. In over 95% of cases, we have recovery solutions and we can help you get back in possession of the data. The DATA RECOVERY service is aimed at COMPANIES who are faced with the situation of losing extremely valuable information due to a serious hard disk failure, for companies as well as for INDIVIDUALS PERSONS who have lost family photographs gathered over the years. 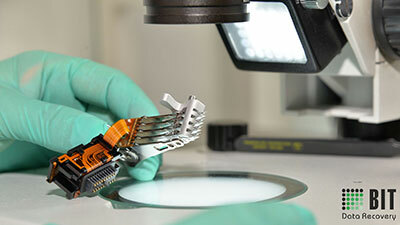 Bit Data Recovery is the largest company in Romania in the field of data recovery. 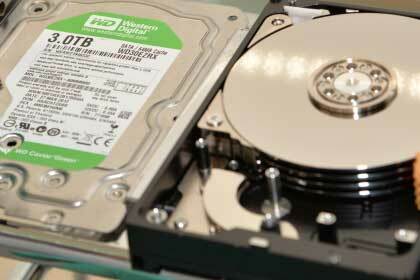 Solutions for all types of corrupted hard drives from the hard drive dropped to deleted files. Mechanical or firmware defects with a recovery rate of over 85%. The new generation of SSDs Samsung, Intel, OCZ, Corsair have very good transfer speeds, but they use crashing memory flashes, for some cases we have recovery solutions. 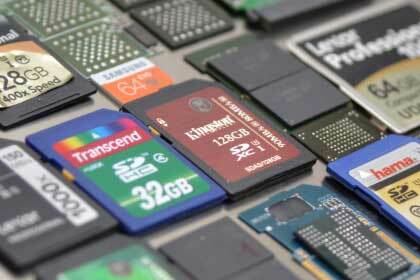 Specialize in the recovery of photos and video footage from all types of Memory CARDs. If a card is no longer detected, we have recovery solutions on the memory flash. BIT Data Recovery provides data recovery services for any type of hard drive defective: jammed motor, defective reading heads, faulty electrical part, burned chips, burner heads, burned motor, accidental formatting, accidental deletion, windows installation Data partitions. The most common problem with external hard drives is physical shocks. Most of the time, our customers bring out stumps from the desk or computer. As a result of such shocks, the hard drive can emit sounds, and after the bending of the reading heads, scratches are produced or the engine is blocked. 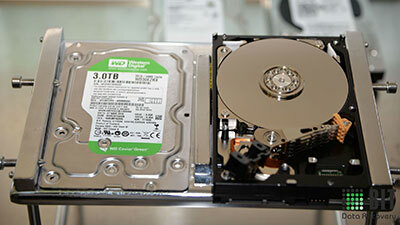 For SEAGATE harnesses with locked engine we have equipment that allows us to recover data from HDD in maximum safety. 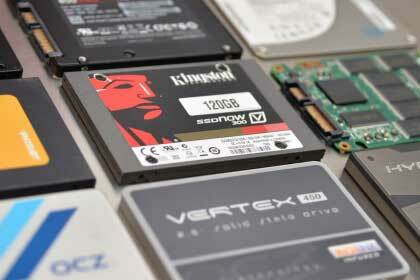 We own the largest stock of hardships and components to recover data from hard drive in Romania. This allows us to recover in 5-7 business days the cases that could not be recovered by our competitors. We assure data recovery for Hard Drives with scratches, generally these cases are denied by more than 90% of recovery companies because they are very complex cases requiring experience, professional recovery equipment, experienced technicians on cases with the same kind of problems . We recover data from the latest 2.5 "and 3.5" external Western Digital hard drives and we have unique solutions developed by our recovery specialists. We have experience in recovering data from HP, COMPAQ, DELL, IBM, FUJITSU servers, both with RAID matrix configurations and with independent hard drives but with various FIRMWARE or MECHANICAL failures. IF THE HARD DISK EMITS UNUSUAL SOUNDS (scratched metal, ringing) IT IS RECOMMENDED THAT YOU STOP USING IT AT ONCE ! DO NOT OPEN THE HARD DISK!! THIS WILL MOST CERTAINLY LEAD TO THE LOSS OF DATA. HARD DISKS CAN ONLY BE OPENED IN SPECIAL ROOMS (CLEAN ROOM CLASS 100) . If a hard drive is making sounds, try not to start it very often, scratches can occur that may compromise your chances of recovery. If you have dropped your hard drive down, do not feed it to a professional service that can recover the data you need. DO NOT ATTEMPT TO REPLACE THE ELECTRIC PLATE WITH ELECTRIC PLATES FROM OTHER HARD DRIVES RANDOMLY; THIS COULD LEAD TO DEFECTS OF THE READING PINS OR LOSS OF DATA. If a hard drive is still blocking this should warn you that something is wrong, it is advisable to make a backup of the data. I am from France, Australia, Italy …. and I want to recover data from a hard drive with problems. How do I proceed ? R: You can send us your hdd by courier, it is necessary that you pack it as well as possible so that it does not suffer additional damage during transport. For more details please access the page expedition. What is the amount of the general costs of the recovery process? R: The cost of the recovering process varies between 50 and 450 Euro + VAT and the price varies according to the type of failure. R: The data recovery process lasts between 2 days and 4 weeks depending on the defect. Is there the possibility of emergency data recovery? R: We will recover data urgently for an additional FEE; the recovery process will start in maximum 3 hours from the reception of the hard disk in service. We have VMware virtual machine data recovery solutions, we offer data recovery services from VMFS filesystems, we have successfully recovered VMDK files related to virtual machines coming from VMFS filesystems ..